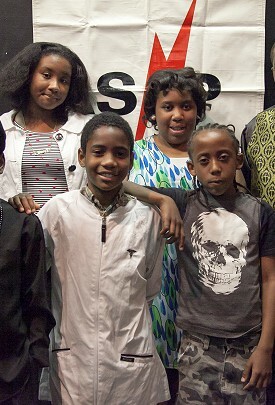 Created in 2002 in response to a civic outcry for help with activities for the city's youth during the critical unsupervised hours after school, Philadelphia ASAP/After School Activities Partnerships has provided after school recreational and enrichment activities to kids in some of the poorest and most dangerous areas of the city. Learn more at PhillyASAP.org. As part of our core partner residency program, Lantern Theater Company is a Pennsylvania-approved Act 48 Continuing Professional Education Provider. In partnership with the School District of Philadelphia, we offer workshops for classroom teachers on a variety of theatrical topics, including acting, directing, Shakespeare, coaching inexperienced actors, and curriculum design. While these workshops are primarily focused on training the classroom teachers at our core partner schools, interested classroom teachers from the Philadelphia area are welcome to attend, provided there is sufficient room in the workshop. Our next Masterclass is scheduled for winter 2018 – details will be announced soon. Are you interested in free training and experience as a professional teaching artist? Since 2006, the Lantern has been partnering with Philadelphia ASAP/After School Activities Partnerships to provide training to emerging/mid-career teaching artists through one-day masterclasses led by the best and brightest of Philadelphia's teaching artist community. In exchange for this valuable opportunity, we ask for a short-term commitment to help Philadelphia's students while gaining valuable on-the-job experience that will help advance your career as a local teaching artist. This Masterclass is also available to non-ASAP volunteer participants for $50, subject to availability. Tuition price is subject to change. To learn more about these training opportunities, please contact M. Craig Getting, Education Director, at cgetting@lanterntheater.org or 215.829.9002 x104. Pictured: Students participating in the Lantern/ASAP after school partnerships program. Photo: Rachel Utain-Evans.